Gift-giving is an art. Some people just naturally know how to do it right and always give the exactly right thing at the exactly right time. People such as our two daughters. I’m not sure how or from whom they learned the subtleties of perfect gift-giving — it’s sort of how they inexplicably learned to do hair and make-up so well that our house always was crowded with girls on prom afternoons wanting my daughters’ expertise while my approach to hair and makeup pretty much is a comb and maybe some mascara. But, happily for me, my daughters graduated beyond my meager attempts at gift-giving brilliance and excel on their own. Of course, Older Daughter knows that any gift involving our two grandsons — almost 4-years- and 4-months-old — makes me melt into a puddle of grandmotherly love, so naturally the collection of photo books she’s been giving us on gift-giving occasions is on my Things-To-Take-Out-of-the-Burning-House-After-the-Cats-But-Before-My-Shoes. Younger Daughter, however, doesn’t have adorably precious babies (yet), so she has to rely on her own natural creativity and sweetness when coming up with presents. And for this past Valentine’s Day, she truly outdid herself. 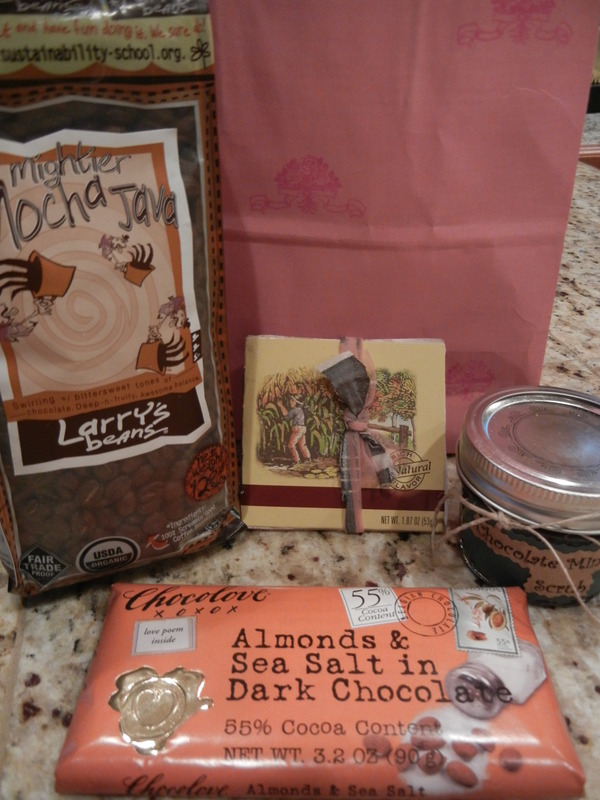 My gift bag included coffee beans she knew I’d love, a smooth and silky dark-chocolate bar and two oh-so-cute gifts a couple of her friends made — a jar of chocolate body scrub and a tiny notebook from recycled paper and discarded boxes of tea, tied with a scrap of found ribbon. Love, love, love. Both daughters and gifts. 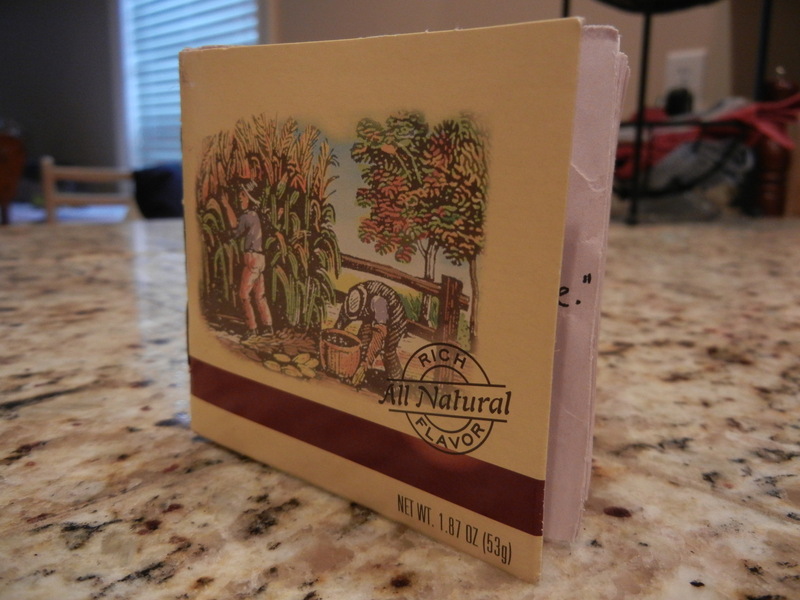 This entry was posted in Alabama, art, family, food, holidays, random thoughts, shopping and tagged chocolate, do it yourself, Gift, gift giving, handmade gifts, holiday, shopping, Valentine, Valentine Day by Coffee with Cathy. Bookmark the permalink. Awww 🙂 Glad you liked your goodies! And thanks for sharing! I love them. You are the best present-giver ever. I’m going to have to order refills soon.